If you are searching for a family-focused car dealership in the Colorado Front Range, Fisher Honda in Boulder is committed to delivering quality service and personalized care. Whether you need help choosing your ideal model or need top-notch maintenance and repairs, the professionals at our showroom and on our service drive are here to help. We strive to provide a family-oriented experience balanced with considerate service and competitive deals. Bob Fisher and his wife, Madelyne, established Fisher Auto in 1968, and they have been dedicated to Boulder and Denver clients for over three decades. They understand the meaning of family, since their two children, Craig and Lynn, operate the business today. 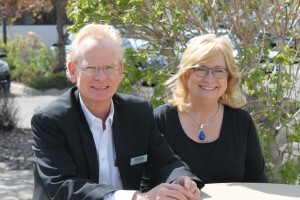 Craig is currently the Dealer and President of Fisher Auto, while Lynn is the Vice-President and Secretary. Their on-going dedication to the community is evident in their donations to local charities and organizations, and the Fisher family works with numerous local businesses on a daily basis ensuring their transportation and automotive service needs are met. If you would like to learn more about the Fisher’s family story, stop by Fisher Honda to chat with one of our friendly experts. Quality Tires: All of our vehicles are sold with nitrogen-filled tires, which improve tire-pressure regulation and extend the life of your tires. Free Nitrogen Service: If at any point in your vehicle’s lifetime your tires need more nitrogen, you can swing by our service department to have them refilled. Honda Brand Specialists: Our team of financial professionals is always on stand-by to answer your questions before, during, and after you buy your next Honda vehicle. 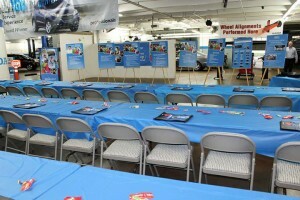 Honda Service Department: Our team is Honda factory-trained, ASE-certified specialists. Honda Parts Department: We have a broad selection of tires and OEM replacement offered at competitive rates. The Fisher Collision Center: Certified as a repair facility for most major insurance companies, we can provide timely repairs thanks to our fully stocked Parts Department.